The Newlook sales were always going to beckon me. Their shoes for me are such high quality, and with their prices so so low it was inevitable that post birthday I would be doing a Newlook Haul. You can view all these items in my Youtube video, I hope you like the video and could like and subscribe if you are new!? Yes, this haul is mostly shoes. I won’t apologise for this. 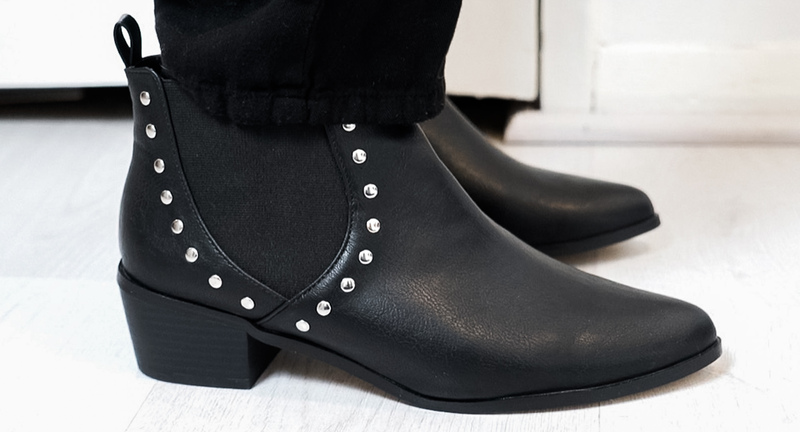 The first are their Wide Fit Black Studded Western Boots. Priced at £14 reduced from £29.99 they were what I was looking for. Smart, simple, comfy, low heeled pointed black boots. Ideal for everyday wear and will go with every outfit whether skirt, dress or jean. My black winter boots are past it, so this was a perfect find. 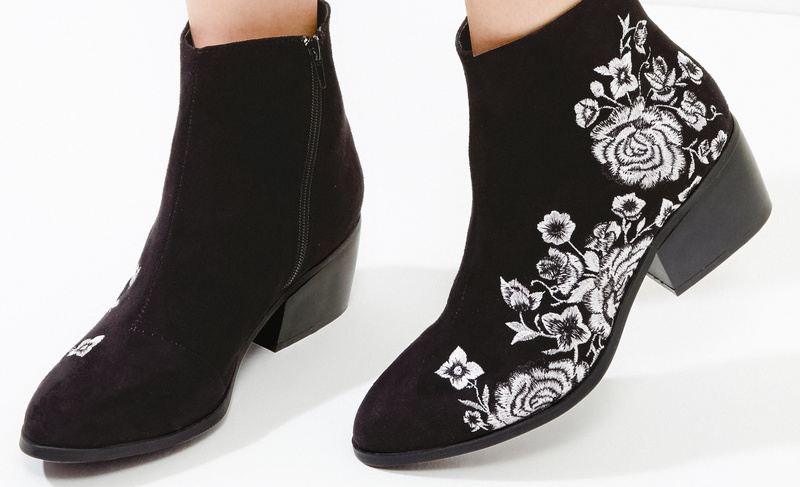 Next are the beautiful Black Embroidered Block Heel Ankle Boots. At a surprising £16 reduced from £34.99, these were too hard to resist. Perfectly pretty, with such detailed embroidery. They are gorgeous and again a very low heel! 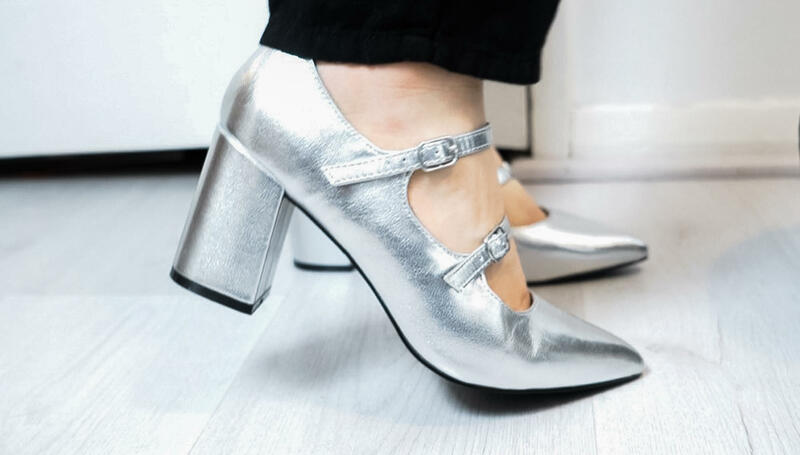 Finally are the more exciting Wide Fit Silver Patent Triple Strap Pointed Block Heels. Something a little more daring for myself but necessary when reduced to £7 from £22.99. They are a fun heel that while being a little high are easy to walk in with the block heel and triple straps. I know I could easily last the day in these without having very sore feet. The silver is fun, and I love a good pointed toe. I am thinking of pairing them with a spring wedding I am attending as they are bright and beautiful. My final item in this Newlook haul is the Stone Turtle Neck Ribbed Top that is £3 instead of £7.99. When I ordered there was only sizes 6 or 16 (although now there are some size 14). I ordered the six not sure whether it would fit or not but surprisingly it did! It is a nice top, perfect for what I had in mind. I have an Asos jumpsuit that is perfect for cooler months. It’s black but strapless, so I wanted a turtle neck top to wear under it, and this one works so well! 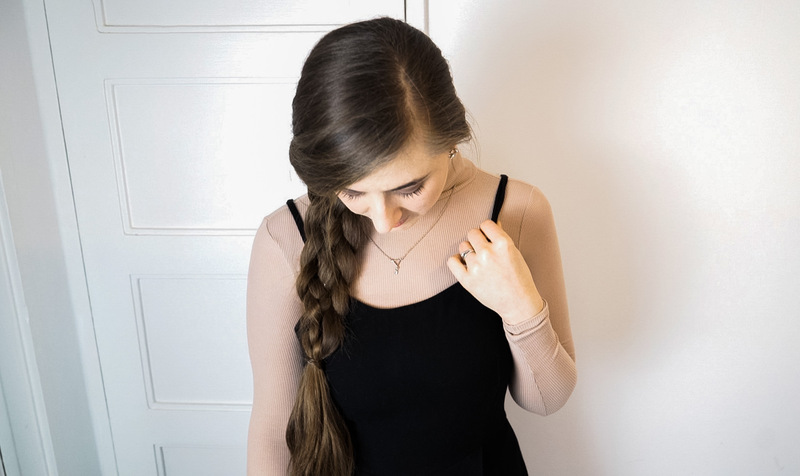 What are your favourite items from my Newlook Haul?